Mizoram was one of the first NE for which I decided what to make. It was based on various articles I read and thought that will be most appropriate. Then I was busy searching for the other North East states, happy with the thought that I at least have short-listed one state. However, as I said, I stopped cooking for the states after the marathon started and all of a sudden, I started getting worried that I still had a handful pending. Anyway, I had read about this chutney in Meera‘s blog when she participated in RCI- the North East States. 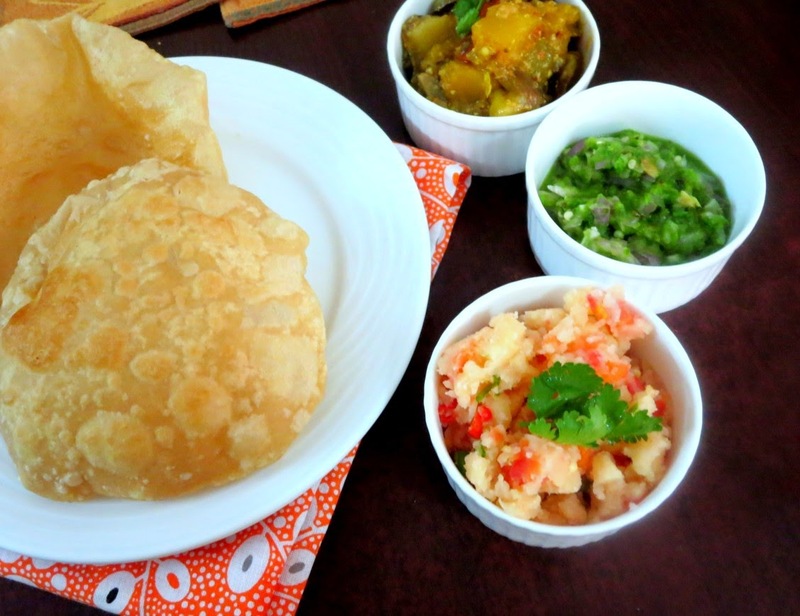 She had written that Asha had sent her the recipe, which was originally from the North-East Cookbook. I read a couple of reviews about this book, however, I couldn’t actually find any recipe shared online. So being in a dilemma, changing my mind to make this chutney was the best solution I had on hand. I had another shock after making it. Athamma tasted it and said this is exactly what her Mom used to make and also said that she used to add dried salt fish powder to this chutney. The entire chutney is ground in the traditional “Rubbu Rayyai” or the Pistol and Mortar of a bigger size. On the side, they used to pound the dried fish and press with hand, into the roasted green or red chilies. She was all nostalgic and said nothing beats that taste and one can never make that these days. To say I was shocked was putting it mildly! Imagine, you learn a couple of new things about your own cuisine. However this is a typical rustic village dish, not popularise outside their place. So hearing that this may not be something the younger generation might even know, put me in a better frame of mind. However imagine you have two states so far apart, yet they have similar food habits, so unexpected. I had Athamma saying the same on a couple of other cuisines as well. So it could only mean that our cuisine has moved away from the older style of cooking and forgotten those dishes. Anyway, this chutney is also something she said they used to make so often. 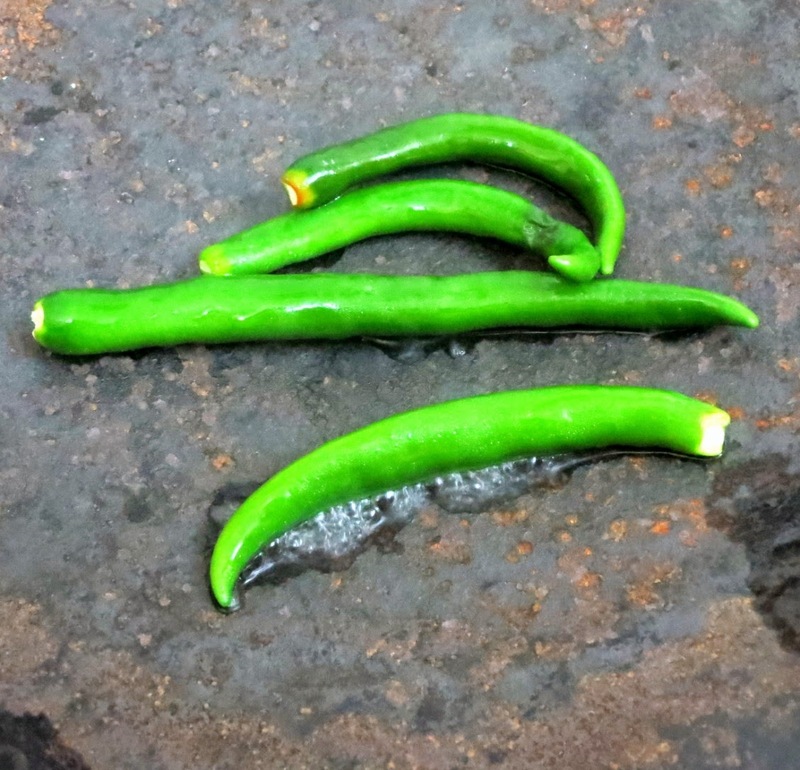 So I present to you, the fiery roasted green chilies. I made a small amount of this chutney. And needless to say, it was very tasty. Roast the Green or red chillies on the tawa until blackened slightly. Cool and grind this to a coarse paste with salt. Mix this with finely chopped raw onions, little grated ginger. Mix well and store. 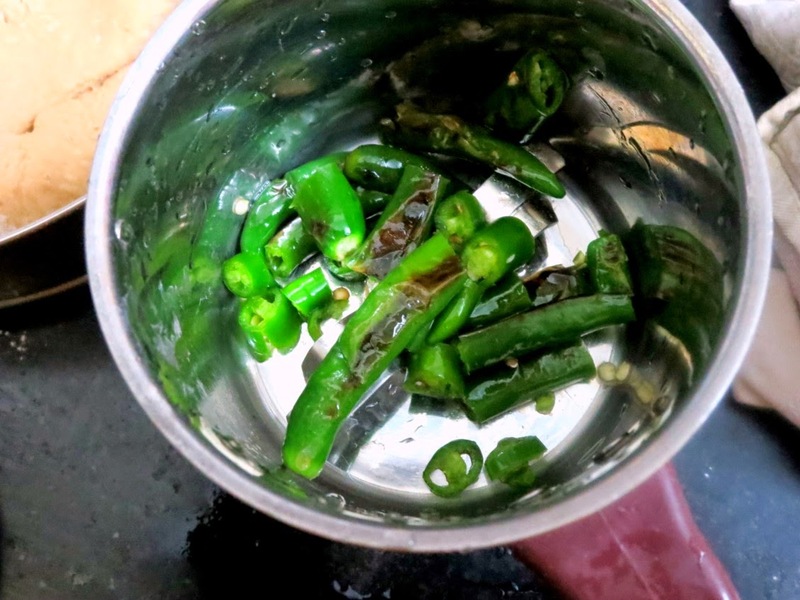 Red Chillies should be roasted and soaked in little water for 10mins and drain all the water before grinding since they don’t have water like green chillies. Chutney looks super hot and fiery Valli, its happened the same for me for Meghalaya, i changed the dish at the last minute. NE is very challenging for us. I love anything hot and fiery and this chutney eould be perfect eith just about anything. Loved it snd will try it soon..the older generation has duch a hidden treasure..we should actually dig in deep. same pinch!!! I also did the chili chutney!! As varada mentioned, I cannot stand anything made with chillies though I can handle spicy food. One who likes hot, fiery food must love this chutney. I also wanted to make this roasted green chili chutney for Meghalaya, but didn't know if it was going to be too hot for our taste. Yours looks yummy. Ooo..sounds so fiery. I cannot eat this spicy. I loved this chutney but could eat a minuscule of it. Wow I love your MIl reaction that they used dried fish in making this chutney. Guess we will keep getting new nuggets regularly in our own backyards. 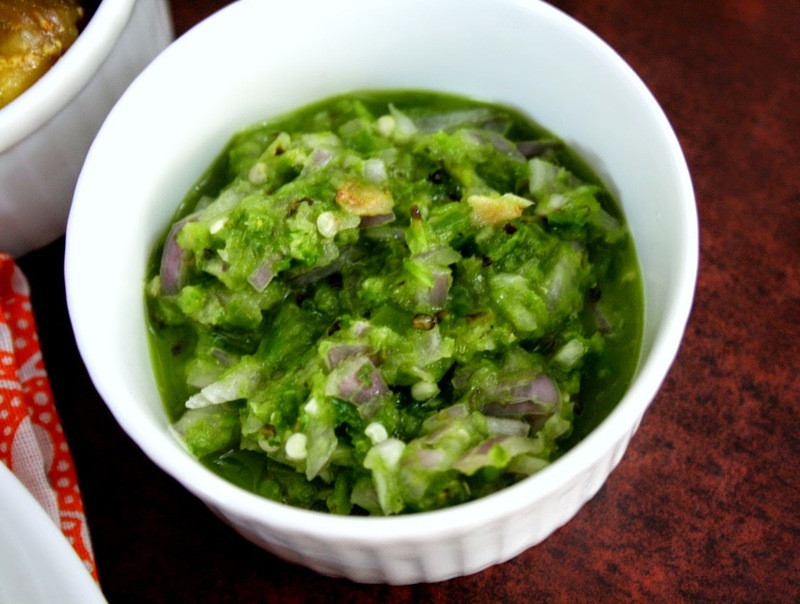 Chutney looks super spicy and perfect with curd rice and rotis..love the deep green color. Two states so far apart yet so many similarities in the cuisine!! I would just look at the pic wouldn't date to taste it! 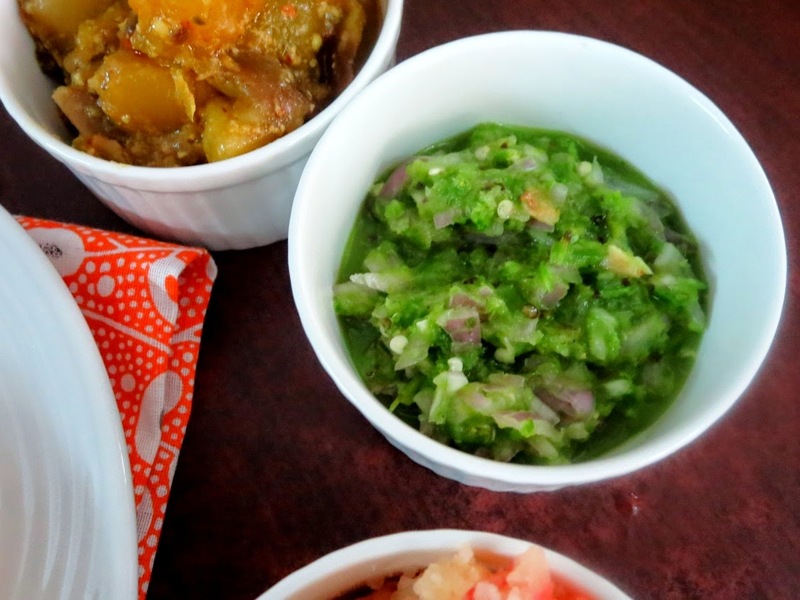 It is a green chili chutney day !!! I love the colour you have got valli, mine was brown wonder why? 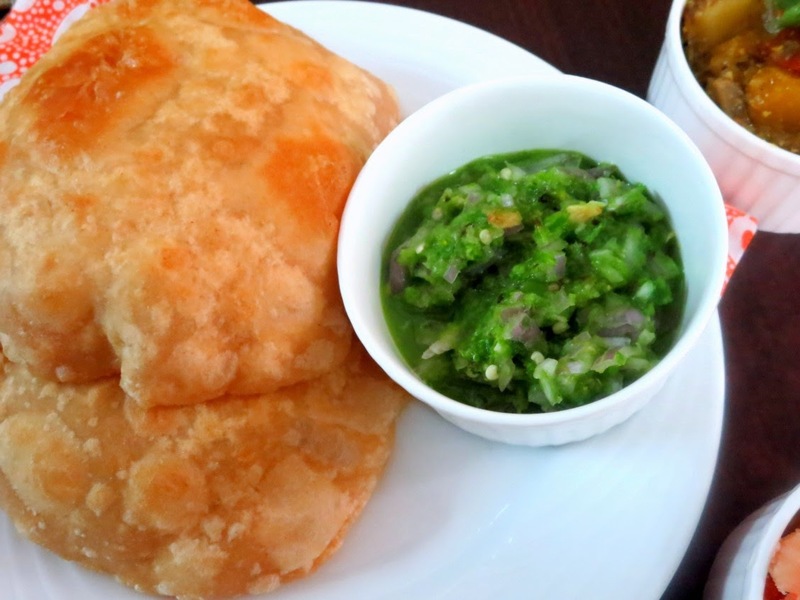 Chilli chutney are my fav and I don't need anything just rotis to enjoy my meal…this looks fabulous !